My blog runs on wordpress.com and I must say that ever since I started here, I have been nothing but satisfied. I agree there are certain limitations and advanced stuff are available only after a payment, yet, it is a service that can be trusted. And that was proved once again by this post. There was a low level break in on the servers of wordpress.com and apparently some security has been compromised, the details of which are expected to be forthcoming following an internal investigation is done. Now while that is a worrying thought, it is a great thing that the folks at wordpress.com are so transparent and frank even when things go wrong. 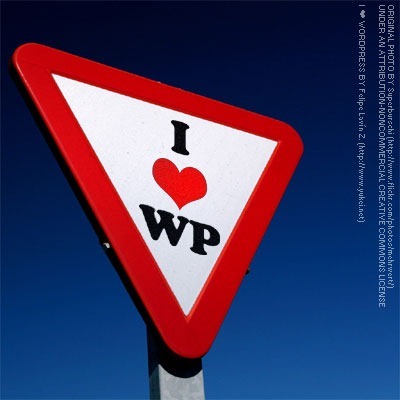 I remember once when the servers went down, the wp.com people took to helping out the users via twitter. That is extraordinary, considering a large proportion of the users avail the free basic plan. Anyways, I may follow their tips and change my account passwords to something more secure and mysterious, and I admit, that remembering one new password is a real pain in the arse, but the frank behavior of the wordpress crew has bought me over. In India, the general idea is to try and keep the story of a screw up under wraps for as long as possible. That is why it is so good to see corporates taking responsibility for issues at their end. I was also quite appreciative of the fact when Maruti recalled some 100,000 diesel cars due to engine defects. Traditionally, Indian markets have seen massive recalls to be bad for business, but Maruti has turned the concept of corporate accountability on its head! Quite like Matt and the wordpress team today. Keep up the good work, we love the service and shall be there with you in times like these. I know I love wordpress, and my fondness just grows! Tags: Blogging, MedBlogging, PostADay2011, Wordpress. Bookmark the permalink. Transparency is fine, but “low level break in” sounds euphemistic. It was a “low level ROOT break-in” which means, the Tschernobyl of all security incidents happened. There is no worse incident than an attacker getting root (admin) access. That’s a very serious incident, and you should change passwords immediately. Yes, these things happen. They should not happen, but they do happen. But I am more concered about the way this is dealt with by wordpress.com than about the fact that it happened. I am an admin as well, and in my not so humble opinion, servers which had a root break-in, have to be reinstalled from scratch. “re-securing avenues used to gain access.” is not enough, as you never can be completely sure that there is no trace of the root exploit left on the server. So, if this happens, hard disks have to be wiped and reinstalled from scratch. That’s the only way to securely “re-secure” a server with a root exploit. How did I miss this whole thing?! Going to change the password right now to be extra sure. Thanks mate! Large addict of this site, a lot of your articles have definitely helped me out. Looking forward to up-dates! I am a belated new member to the Maggie Smith fan club. Long before she became the esteemed Prof. McGonagall in Harry Potter, I liked her immensely in Gosford Park, Tea with Mussolini and Ladies in Lavender. So it became a mission of sorts for me to acquire DVDs of her earlier work simply because I knew there is more to Dame Maggie than just being a “spunky old lady”. “Love, Pain and the Whole Damn Thing” is one of those movies can be described as a guilty pleasure. Oh definitely not because of the plot – which is the usual guy-meets-girl, guy falls in love with girl, girl dies *thud*. In between this predictable story line were two strangers, poles apart, but both seeking the same thing. So who cares if she’s a middle-aged spinster who attracts the weird types and he’s awkward college-aged young man who is gawky and wimpy (Timothy Bottoms’ character here reminds me of Michael Cera’s roles these days)? More than just embarking on a February-December affair, the journey of these two people was paved with good, lustful yet memorable intentions. I cannot believe how young Dame Maggie was here. So much that when I found a post somewhere on Tumblr from someone who had seen “Gosford Park” and asked if Maggie had ever been young, I hunted for a YouTube clip of this movie (with the awkward bed/falling on the floor scene) and sent it to that poor thing. Most reviews here have commented on the wonderful Spain setting and I have to agree. I think each place they visited was symbolic, but notably the last, La Mancha, representing what seems to be such a foolhardy relationship – it was doomed from the start or so it seems. I loved this movie and only wish that it came with special features (I live for them).